Many homeowners don’t think about their plumbing until a problem arises. With winter just around the corner, you don’t want to leave your pipes unprepared to deal with the freezing temperatures up ahead. Frozen pipes are more common than you would realize and can cause serious problems for your plumbing system. Luckily, there are several different ways you can prepare your pipes for a severe drop in temperature. From calling in a professional for help to performing a bit of DIY maintenance, we offer our tops tips for preventing frozen pipes during the winter. ● Pipes are more likely to freeze in a home that hasn’t had accommodation for an extended period. ● If there is a lack of insulation throughout your home, the water in the pipes can freeze up during the winter. ● If you go on holiday for the winter, and while you are away there is a furnace failure or power outage, there’s a high possibility that you will come back to a home with frozen pipes. If you’re aware of any plumbing leaks in your home, call in an expert plumber and get them fixed now. You can also call in your plumber for a plumbing maintenance check before winter comes to ensure that your plumbing system is ready for the cold. If you live in an area where the climate is traditionally warmer, you may have noticed that your home doesn’t have much insulation. If this is the case, it’s worth spending some money on having your home and the pipes professionally insulated. The weather is unpredictable and just because the winters are typically mild doesn’t mean they’re always going to be. When an unusually cold winter day hits you, you’ll be glad of the insulation as it will prevent the pipes from freezing. If you live in a newer home, built in an area that is used to freezing temperatures during the winter months, then you will likely already have insulation. However, if you do not, then we recommend phoning in a professional as soon as possible. 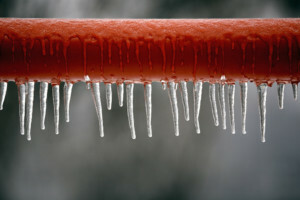 Frozen pipes can crack or split when they freeze, and you’ll need to spend money on pipe repair. Don’t risk broken pipes this winter, get your pipes and home insulated. When the warm months have passed, and winter is setting in, disconnect the outdoor hose from the faucet. If you leave the hose attached, any water that is left inside can freeze and then expand – this can also freeze the outdoor faucet and any connecting pipes. When exposed to freezing temperatures, your sump pump can stop working. When your pump malfunctions, your basement has the potential for flooding. Clean and inspect your sump pump and the pit before the cold hits. If your home has shut off valves for the outdoor faucets, you should close them off and drain the water from the outside lines. If you aren’t sure how to do this, call in your trusted plumber. If there is any water left in the lines, it can freeze and cause damage.